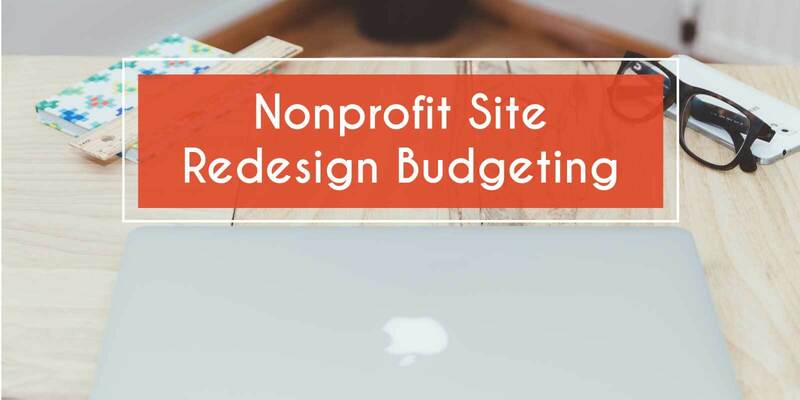 Before you’ve started the project, determining the scope of your nonprofit website design and how much you’ll need covered by grants can prove difficult, if not impossible. To alleviate some of this burden, ArcStone’s Head of Sales, Jenna, answered some common questions below. Read through them to help you understand what all might go into your website and what hidden costs you should note before diving in. *Warning: Jenna has tried to provide a lot of detail, but in the end, you’ll want to talk to an agency or your developer/design team to understand what the true cost will be. This post will help you understand how to begin thinking through your budget and what questions to ask. You’ll also want to think about whether or not you’ll need marketing work, ongoing support or hosting services. Always ask your partner or employee if they can cover all the bases you need. What other factors can influence your website redesign budget? There are quite a few aspects Jenna runs into when setting up a client with the appropriate budget. The four questions below often surprise clients so you’ll want to ask them now rather than run into them later. 1) What is the number of unique page templates your site will need? Most websites have at least 3 unique page layouts that better accommodate different content and audience types, rather than having just one standard page. It seems like quite a few right? It’s tempting to say you don’t need these all, but each type of content necessitates additional wireframing, design, development and content time – meaning more time and money. Better to be realistic now than to add these on later. 2) Do you need something custom or off the shelf? Jenna uses this fitting example: when redesigning your kitchen you can either choose a custom cabinet or one that is mass produced. This is the same in regards to the functionality needed for your website. Sometimes there are plugins or systems that can handle what you need, while other times you need a custom solution. Jenna noted that people often assume their needs can be met with a pre-built solution, but this is not always the case. Then when a nonprofit needs something custom, they forget about the time it takes to research, install and configure something pre-built. 3) How will you handle content? It’s fairly standard to see nonprofits cut content production and implementation from their budget. They assume they can at least do that part on their own. However, it becomes really challenging and time-consuming. In the end, they ask the agency to takeover, which costs them more than they anticipated. Jenna highly recommends budgeting extra for any redesign and never assume you should re-use existing content. She also recommends getting this done as soon as possible. Don’t wait until the agency is done with their work. Focus on this from the get-go so you and your employees can better plan for it. Though experienced agencies often cost more, they typically have well-defined processes which can save you time and money in the long run. They will be more efficient throughout and more equipped for handling any mishaps. Also keep in mind, when it comes to timeline, we’ve found the more tight schedule we stay on, the better the project goes. Keeping a consistent momentum keeps people focused on both sides and can help decrease the cost of project management. Keep in mind something like 6-12 weeks. We hope this helps you plan out your redesign project and avoid any surprise costs. As a nonprofit, we know you don’t have the time or money to deal with that, and with all the good you’re doing, you shouldn’t have to take on anything more! If you are thinking about a redesign, check out our 25+ website redesign resources or contact ArcStone’s team today.